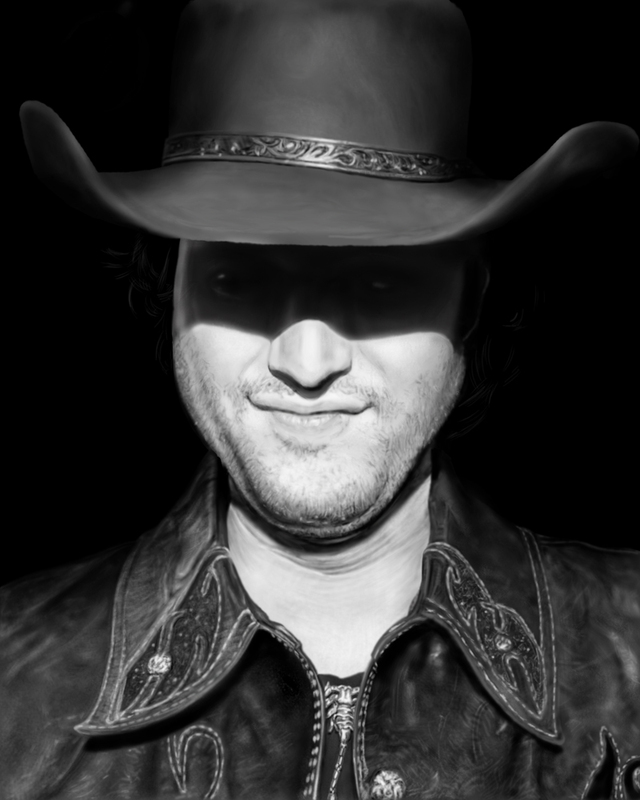 The man behind some of the most innovative, creative, and visually inventive action films of the late '90s and early 2000s, director Robert Rodriguez is the epitome of the do-it-yourself attitude and a renaissance man of cinema. Directing, shooting, and editing nearly every one of his films, Rodriguez's energetic and self-immersing approach to filmmaking has resulted in some of the most stylish and exciting action films in modern cinema. Born June 20, 1968 into a large family that included ten siblings, Rodriguez was never lacking in inspiration due to the antics of his brothers and sisters and became fascinated with cartooning and filmmaking at an early age. Prompted to jump behind the camera after becoming enamored by John_Carpenter's Escape_From_New_York at age 12, the fledgling director's brothers and sisters served as a capable cast and crew, and with his father's Super-8 camera in hand, Rodriguez took his first steps toward auteurhood. Shocked by the cost of developing films, the junior director showed early signs of budget-consciousness when he switched to video due to its versatility and the room it gave him to experiment. Awarded a scholarship to the University of Texas at Austin soon after his graduation from St. Anthony's High School, Rodriguez inked a popular comic-strip entitled -Los Hooligans (inspired by the antics of his siblings) and continued to make films despite being rejected from the institution's film school due to poor academic promise. Undaunted by the rejection, it was Rodriguez who would have the last laugh as his 16 mm film Bedhead won multiple awards and opened many doors. A humorous tale of a girl who gains psychic powers after receiving a bump on the head, the film's unique humor stood out among the usually morose film-festival entries and charmed audiences and judges alike. Also recognized by Columbia University for his skills as a comic writer and artist during this period, Rodriguez soon began setting his sights on making a feature-length film. Once again intimidated by the high cost of processing film, the resourceful director came up with one of the most unique forms of financing ever conceived by a filmmaker desperate for funding. Serving as a human guinea pig by subjecting himself to experimental drug studies, Rodriguez secured the 7,000 dollars he needed to get El_Mariachi off the ground. With his good friend Carlos_Gallardo serving as the hapless lead and a ragtag crew working round-the-clock in a Mexican border town, shooting was completed in 20 days for intended distribution in the Spanish video market. Bought by Columbia Pictures for distribution in the United States, El_Mariachi was hailed for not only its unique style and energy, but also for the remarkably resourceful circumstances surrounding its creation as well. Brought in at the last minute to direct the made-for-cable feature Roadracers (1994) soon after, and helming "The Misbehavors," arguably the most entertaining segment in the ill-received Four_Rooms the following year, it wasn't long before Hollywood was calling for a sequel to Rodriguez's maiden effort. As much a remake as a sequel, though this time with the noted lead of Antonio_Banderas (whom Rodriguez had worked with on "The Misbehavors"), Desperado displayed further indication of its director's resourcefulness but failed to capture the core energy of the original. Re-teaming with his Four_Rooms cohort Quentin_Tarantino for the super-kinetic, schizophrenic crime/horror extravaganza From_Dusk_Till_Dawn, the director continued to find his groove in the land of bloated budgets, and despite its dark humor and giddy energy, the film was criticized by many for not sticking to the conventions of a single genre. His follow-up, the subversive sci-fi teen romp The_Faculty, was equally compelling, though lost in a sea of post-Scream (1996) self-conscious thrillers. In subsequent years, Rodriguez would remain only slightly involved with the two straight-to-video From_Dusk_Till_Dawn sequels, and many may have found it ironic that the director would receive his most substantial critical success yet with what was essentially a children's film. 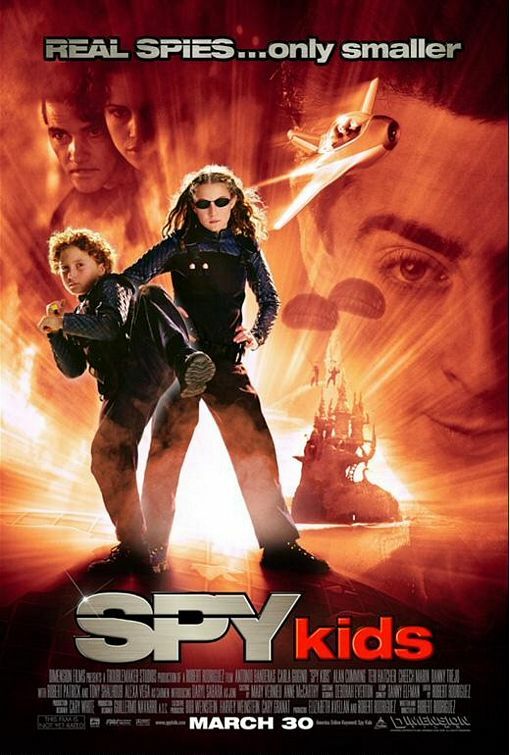 A massive box-office hit that offered a family friendly adventure yarn served with a distinctively stylish and surreal twist, Spy_Kids (2001) retained all the elements that had endeared Rodriguez to fans and critics, sans the graphic violence and adult elements that rendered his previous works unsuitable for the small fry. Alarmed by the fact that numerous kids had approached him and expressed their love of his very adult-oriented previous features, Rodriguez set out to craft an energetic adventure that called back to his more lighthearted early efforts. With its deliciously twisted Willy Wonka-inspired villain, bizarre set-pieces, high-tech gadgetry, and positive messages pertaining to the worth of a healthy self-image and the importance of family, Rodriguez won over a whole new generation of fans while simultaneously retaining his already solid and fiercely loyal fan base. Again turning out a stylish and flashy finished product on a remarkably tight budget (Rodriguez edited much of the film in his garage), the established director proved that his talent spanned numerous genres and his appeal was far reaching. Soon beginning work on a sequel to Spy_Kids, Rodriguez also kept busy by beginning production on his longtime dream project, the epic final installment to his Mariachi trology, Once Upon a Time in Mexico. In the wake of a visit with filmmaker and digital cinema advocate George Lucas, Rodriguez was soon convinced that the future of film lay not in celluliod but in digital video - and from Spy Kids 2 on the progressive-minded filmmaker would eschew tradition to shoot all of his future films on the versitile emerging format. Indeed Rodriguez's subsequent digital films were as visually vibrant and aesthetically pleasing as ever, with Spy Kids 3 using the process to particularly pleasing effect in creating a fantasy world in which young protagonist Juni (Daryl Sabara) must journey into a living videogame to rescue his sister from a sinister foe known as The Toymaker (Sylvester Stallone in a particularly hammy performance). If Once Upon a Time in Mexo - Rodriguez's epic conclusion to the El_Mariachi trilogy - failed to reach the delirious hights promised by it's undeniably ambitious title in the eyes of some fans, the arrival of the visually striking and masterfully constructed Sin City in early 2005 proved without a doubt that Rodriguez was indeed still one of the most daring mainstream filmmakers in contemporary cinema. 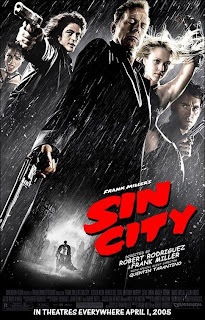 Despite the fact that -Sin City author Frank Miller had made no secret of the fact that he had no desire to ever let the legacy of his notorious noir comic blighted by a sub-par film adaptation, Rodriguez secretly shot a scene showcasing his remarkably faithful vision for the film and offered it to Miller as a proposal for a feature length version of Sin City. Immediately recognizing the sincerity and respect with which Rodriguez had handled the source material--going so far as to use the panels of the graphic novel for storyboards--Miller agreed to let the director bring -Sin City to life on the big screen and in turn, Rodriguez resigned from the Director's Guild of America so that he could make Miller the official co-director of the film. When Sin City finally arrived in theaters in April of 2005, few fans of the comic could have realized what a faithful adaptation the film would be, and though it did draw some criticism for its stratospheric level of violence, longtime fans of Miller's comic took to the film in droves and praised it for its unapologetic adherence to his dark vision. Rodriguez finished off 2005 with another family adventure in the style of Spy_Kids -- although far less successful -- called The Adventures of Shark Boy and Lava Girl. He then spent 2006 teaming up with friend and colleague Quentin Tarantino to work on the over-the-top double-feature project Grindhouse. The film set out to follow in the tradition of the genre it was named after -- bang for your buck drive-in/Times Square exploitationers -- and the final product would include a movie by each director, as grindhouse theaters were known for screening double or triple features. 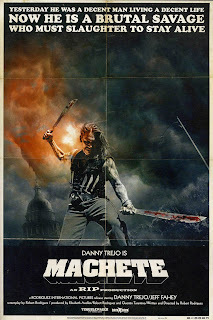 While the grindhouse movies of the '70s made up for the lack of starpower afforded by their shoestring budgets with intense violence, wild action sequences, and shocking premises, Rodruigez and Tarantino reveled in the chance to make a movie just as outlandish and campy, but with big budgets and major stars as well. Released with a maximum of fanfare by the Weinstein Company on Easter weekend, 2007, the film became one of the surprise flops of the spring, despite strong reviews from critics. Robert Anthony Rodríguez (20 de junio de 1968) es un director de cine estadounidense. También es guionista, músico y productor. Es conocido por realizar rentables producciones, tanto independientes como de estudio, con bajos presupuestos y rodajes sin demoras. Principalmente rueda y produce sus películas en los estudios Troublemaker, de los que es dueño, en Austin, Texas. Su carrera en Hollywood comenzó gracias a su primera película, titulada El Mariachi, que dirigió a los 24 años de edad. Nació en 1968 en San Antonio (Texas), en el seno de una familia de inmigrantes mexicanos. Es el tercero de los ocho hijos de la familia. Después de acabar el instituto estudió en la Universidad de Texas. Rodríguez escribió el guión de su primer largometraje mientras permanecía internado en las instalaciones de unos laboratorios de investigación como paciente de un experimento clínico remunerado. Este dinero sirvió para pagar el rodaje de su película. Planeó recuperar el dinero vendiendo la película en el mercado del vídeo doméstico mexicano. La película era El Mariachi (1993), que Rodríguez escribió, dirigió, fotografió, montó y grabó el sonido con un presupuesto de 7.000 dólares. Mientras que seguía investigando la forma de vender la película en el mercado del vídeo, Rodriguez fichó con un influyente agente de ICM. Fue entonces cuando Columbia Pictures compró los derechos y firmó un contrato de dirección de dos años con Rodríguez. El Mariachi terminó ganando el ansiado Premio del Público a la Mejor Película Dramática del Festival de Cine de Sundance, y también fue galardonada en los festivales de Berlín, Múnich, Edimburgo, Deauville y Yubari (Japón). El Mariachi se convirtió en la película de menor presupuesto estrenada por un gran estudio y en la primera cinta americana estrenada en español. Rodríguez escribió sobre estas experiencias en Rebel Without a Crew (traducido en España como "Rebelde Sin Pasta"). 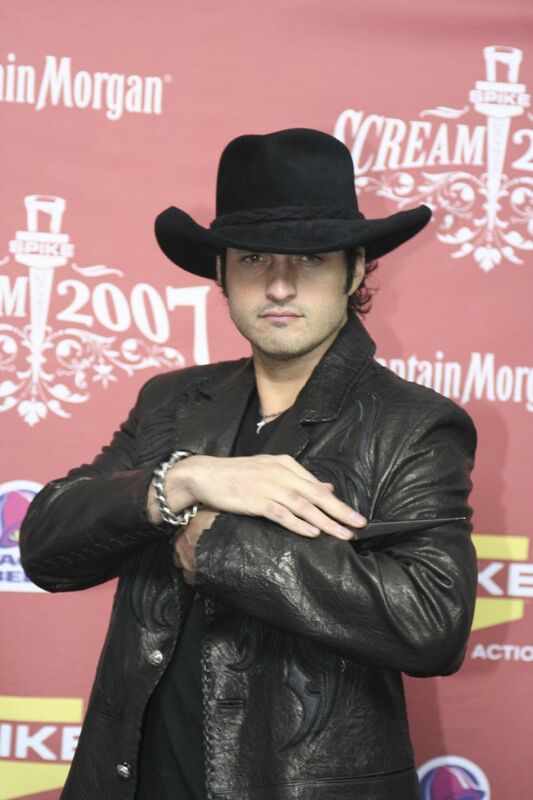 En 2001, Robert Rodríguez pudo hacer realidad uno de los sueños de su vida y creó una película de aventuras para toda la familia. Spy Kids fue aclamada por la crítica y obtuvo un enorme éxito de taquilla, con unos ingresos que superaron los 100 millones de dólares sólo en Estados Unidos. Después le siguió Spy Kids 2, que se hizo valedora de excelentes críticas y Spy Kids 3-D: Game Over', que se estrenó en Estados Unidos el 25 de julio de 2003. La tercera entrega de la trilogía El Mariachi, Érase una vez en México rodada, montada y producida por él mismo, que se estrenó en Estados Unidos el 12 de septiembre de 2003. Además, participó como guionista.